How to add a search bar menu item, and best practices for customizing the form. 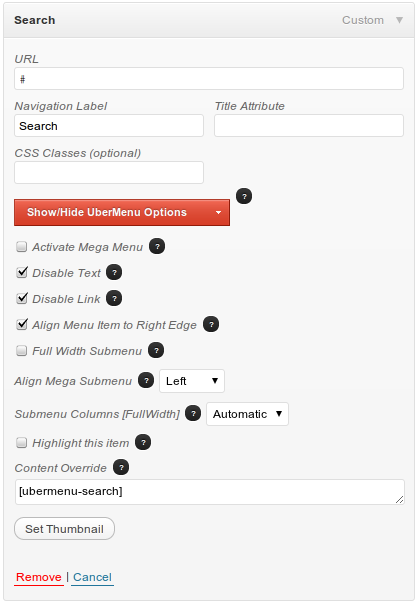 Please note that this is a customization, not a supported feature of UberMenu. This section is intended to point you in the right direction with your customization, but any changes are your responsibility. You can change the placeholder text and the Go button within the code.